GRADE B: GOOD AS NEW: With Signs Of Regular Use, These Phones Aren’t New, But Are As Good As! These Phones Are Fully Tested And Fully Functional. Since you are considering this phone after reading the phenomenal iPhone 6 reviews, you must be wondering what does iPhone 6 look like? Everything about this device is premium, including the iPhone 6 box too. Opening this top quality package reveals the Apple iPhone 6 Space Gray that is the biggest yet! Get a little extravagant with a phone that is large yet slimmer and remarkably more powerful and smartly power efficient. It’s sleek metal surface smoothly merges with the incredible, new Retina HD display. 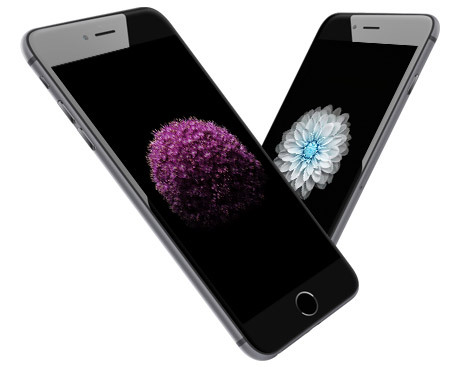 The Apple iPhone 6 is the perfect collaboration of hardware and software working together fluently to give you performance that is unrivaled. The Apple iPhone 6 features a 4.7inch Retinal HD multi touch display, and this happens to be one of the thinnest and most advanced displays that Apple has ever made. This screen gives you high resolutions of 1334 x 750 pixels with a pixel density of 326ppi. The images that meet your eyes are doused in profound clarity and color and look sharp. It even gives you higher contrast and better viewing angles. 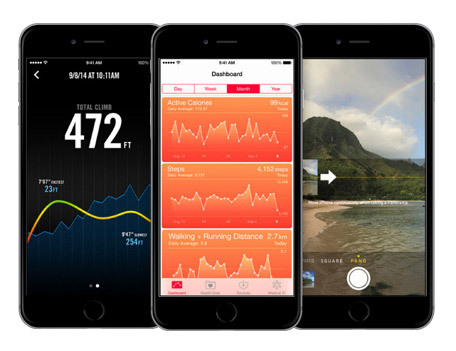 The Apple iPhone 6 was built using the 64bit desktop class architecture. This model uses the advanced A8 chip which is highly efficient in delivering fast CPU and GPU performances; all the while powering a larger display and impressive features. This amazing power is further enhanced by the M8 motion coprocessor that gathers data efficiently and continuously from the advanced sensors and the new barometer. This takes the burden off the A8 chip, to provide increased power efficiency. 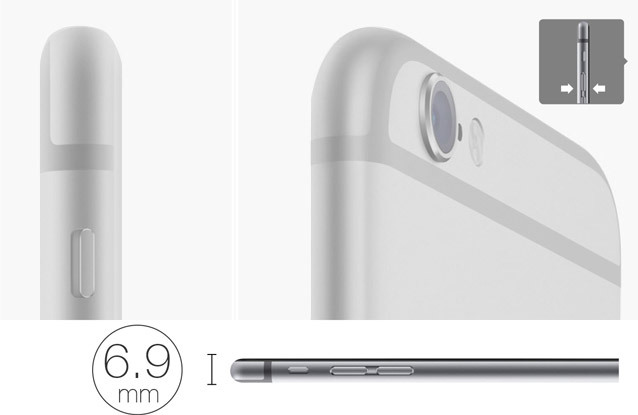 The iPhone 6 battery capacity is pegged at 1810mAh. This rechargeable iPhone 6 battery lasts for up to 14 hours on 3G with a single charge. It has been observed that people take a lot more photos with the iPhone than with any other camera. The iPhone 6 camera now takes this game to a whole new level. The device’s iSight camera can now shoot stunning videos in HD with 1080p at 60fps. This means everything you capture will be recorded in startlingly clear and accurate detail. Don’t let a single moment pass you by in a blur, get everything in sharp detail. The video recording on this amazing camera also gives you slo mo at 240fps, as well as time lapse video mode. And before you know it, it will be observed that people take a lot more videos with the Apple iPhone 6 than with any other camera! Keep the security of your phone at your fingertips and only your fingertips. Set a password that no one can crack, no one can copy, and there’s no chance of forgetting. Well, not unless they borrow your hand. 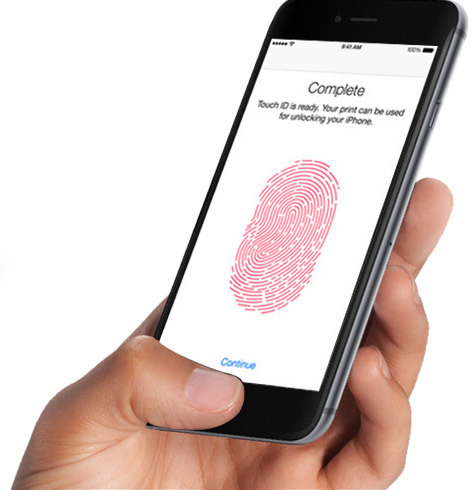 Make sure that only you can access your iPhone 6 and nobody else with the breakthrough Touch ID technology. This lets you set an unbreakable password with your fingerprint. The best part is you can use it to approve purchases from iTunes, iBooks, and even the App Store, without wasting time entering a password. What is a graded phone? These phones and tablets are just like new. With little or no signs of use, they have been fully tested to reach our high standards. Little or no signs of use. Minor cosmetic blemishes, if any! 6 - 12 month warranty included. With signs of regular use, these phones aren’t new, but are as good as! These phones are fully tested and fully functional. Show small signs of wear and tear. light scratches on the device. Although these phones are a little older and have been a bit more loved, they are still in great condition. These phones are our best seller. Signs of cosmetic blemishes or scratches. No cracks on the screen or back. 3 - 6 month warranty included. Fully tested to reach our high standards. An Post International Registered - €24.95 (approx. 5 - 7 working days from time of order).